For the classroom, there are two characteristics of a projector that are of paramount importance: versatility and value. BenQ's new short-throw MX613ST fits the bill on both counts and gives you the added attraction of a very low maintenance cost. Its DLP design has no air filter and its lamp life is longer than most at up to 6,000 hours in Eco mode. Even the lamp warranty is unusually long at one year or 2,000 hours, whichever occurs first. Its list price of $649 is aggressive as it is, but dealers offer education discounts that lower the price even further and increase the value proposition of this multi-faceted projector. Image Quality: Short-throw projectors have a tendency to be less crisp and focused across the image than conventional projectors because of their compound aspheric lenses. However, the MX613ST has remarkable clarity from edge-to-edge over the entire image. Data images are easily readable with small typefaces even with full keystone correction. Photos are particularly stunning in sRGB mode where color accuracy is emphasized over brightness, and fine detail is readily apparent. Spreadsheets have high contrast, and the MX613ST's optics keeps line detail sharp. More surprising for an inexpensive projector is its video performance. With no adjustments at all, flesh tones were very realistic, and color balance was excellent. The MX613ST's sufficient contrast rendered good shadow detail and highlights were well modulated. Cinema mode had a bit too much reddish hue, but Presentation mode was right on the money. If the image is too bright for movies, going to lamp Eco mode lowers brightness by a little over 22% and it reduces fan noise to a whisper. Brightness and Uniformity: In Dynamic mode, maximum brightness measured 2,685 ANSI lumens, or 7% higher than the 2,500-lumen specification. Each image mode had unique brightness, contrast, and color temperature characteristics, and they delivered lumen readings as follows: Dynamic - 2,685; Presentation - 2,150; sRGB - 1135; and Cinema - 1,170. Uniformity was excellent at 87% with peak brightness in the center of the image. Network Connections and Management: The MX613ST is set up nicely for network management. It has a D-sub 9 RS-232 connector for remote sensing and LAN control. Your LAN can remotely monitor projector status such as lamp condition and internal temperature and alert maintenance personnel to possible problems. 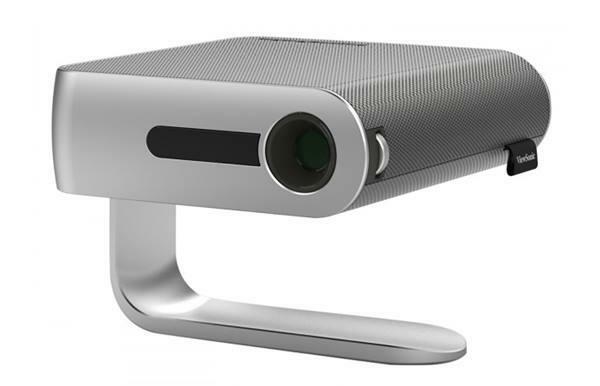 Projector operations can be remotely managed using BenQ's Q Presenter software which is downloaded from a proprietary Web site. With the addition of an optional LAN dongle, wireless control of the projector is enabled. I have been using this projector for a few months. Despite being bright and colorful, for meetings where text is important, the focus is a big problem. Very difficult to get all the projected area in focus. Unless a short throw projector is absolutely needed, I would not recommend this model.